I am from turkey,istanbul.I was in problem to find a proper instruction and YOU helped me so much.thank you very much.I hope everything will be as you wish to be.thanks again. Thanks!! I’m constantly amazed how something as simple as a little knitting pattern can zoom around the world in no time at all! Well, Ravelry has been quite the yarn uniter, hasn’t it? I just queued this & have several manly men that would love it. I also like Jared Flood’s Turn A Square, but your increases are smoother than his decreases. A different look is all! Thanks for the free pattern, it’s always appreciated. Hey, thanks! I was inspired by someone on Ravelry who tried to recreate Turn a Square from the top down – I said… Hey, I bet I could do that!!! Thank you for making your patterns available for the Period of Purple Crying knit-ins. 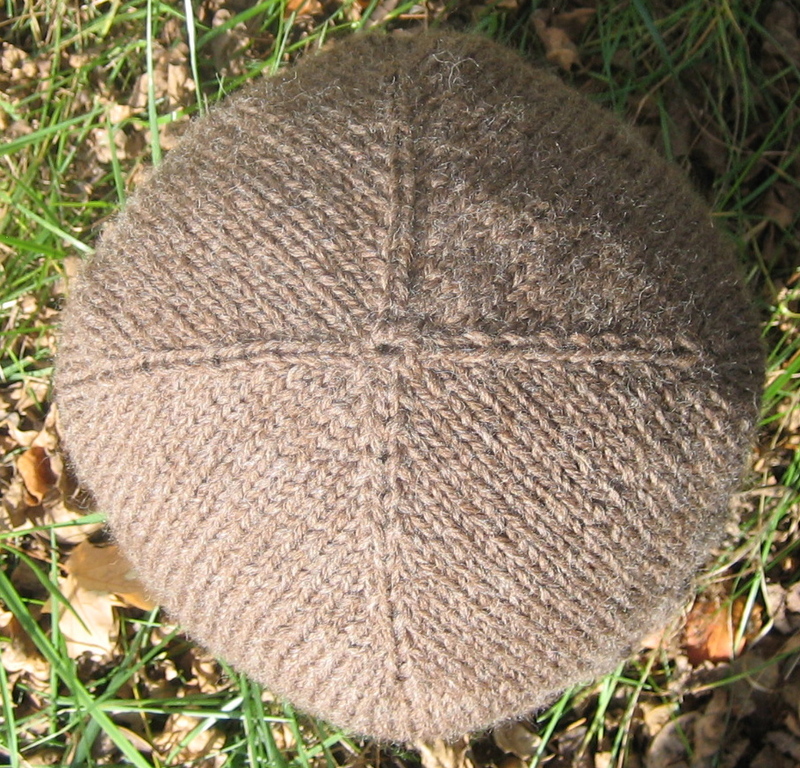 Well, I have to say, I have knitted many a hat, but always with the “so when do I start decreasing so that it is the right depth — not over the eyes, not failing to cover the ears”. Your pattern is the ANSWER! I’ve just knitted my first top-down sweater — a Heidi Kirrmaier pattern — and feel like I’ve seen the light. It makes so much sense to knit from the top down. Many thanks indeed for your design. I will try to post the results on Ravelry — that will be another first. Best wishes & thanks again from London! Very happy to hear that it worked for you! Hello! 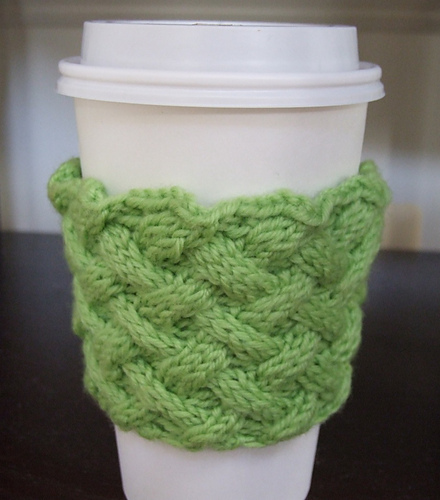 The markers wind up between the two knit stitches. So, RLI, K1, SM, K1, LLI. I hope that helps you. Thanks again, as per Revelry! Even before I start, I love this pattern’s no pressure approach. 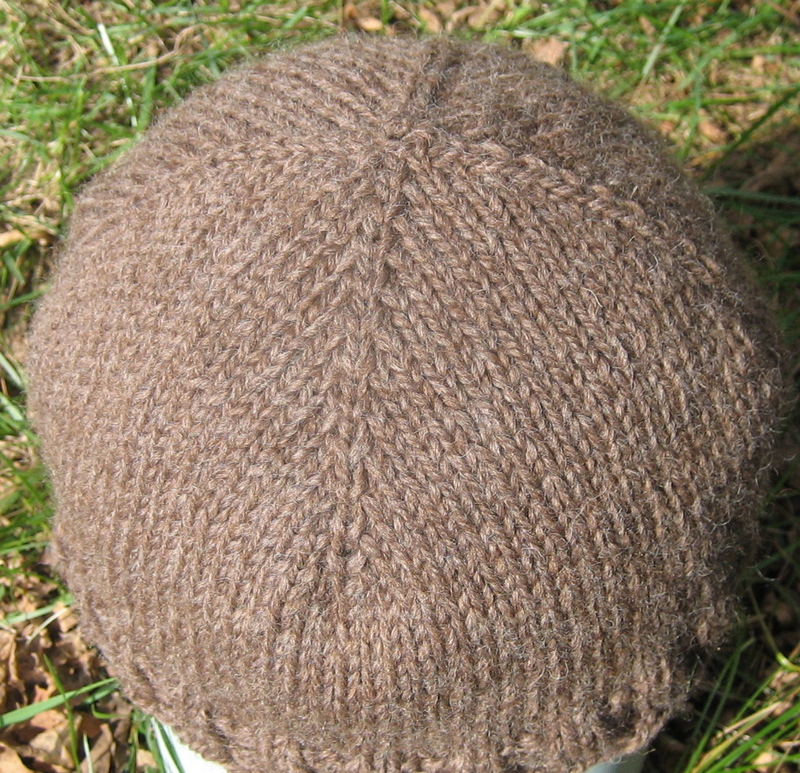 I need to knit a hat for a very big headed (and hearted) man, and this will be just the thing. Sending you many thanks from London. Your comment made me smile! Give the Queen a wave from me. I’ve made 2 hats, knitting a third, and been asked to make three more by people (they wanted to pay me but I said no, mostly so I don’t have to feel rushed or guilty if they have some tiny flaw!) Using your top-down no math hat patterns as a guide! I absolutely love it and have so much fun knitting it. Thank you! Hi, Jamie. I’m so happy to hear that the pattern has been useful to you! I’d encourage you to consider that your effort is worthy of compensation – no perfection required! Thanks for taking the time to comment – it really makes my day.